Prague has ‘romantic’ written all over it. 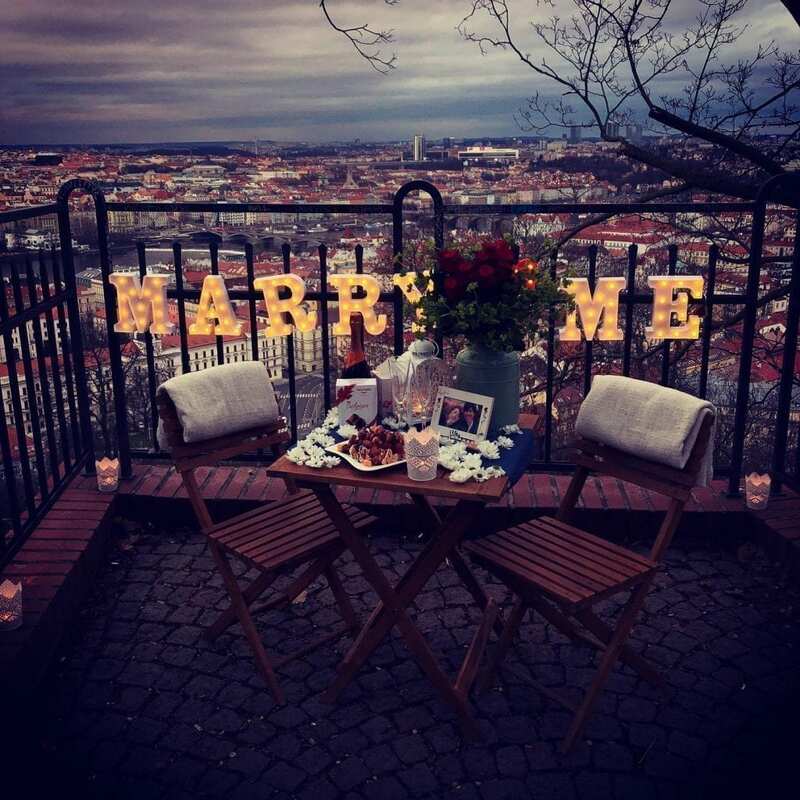 So when it comes to Prague honeymoon ideas there’s a ton of things you can experience. 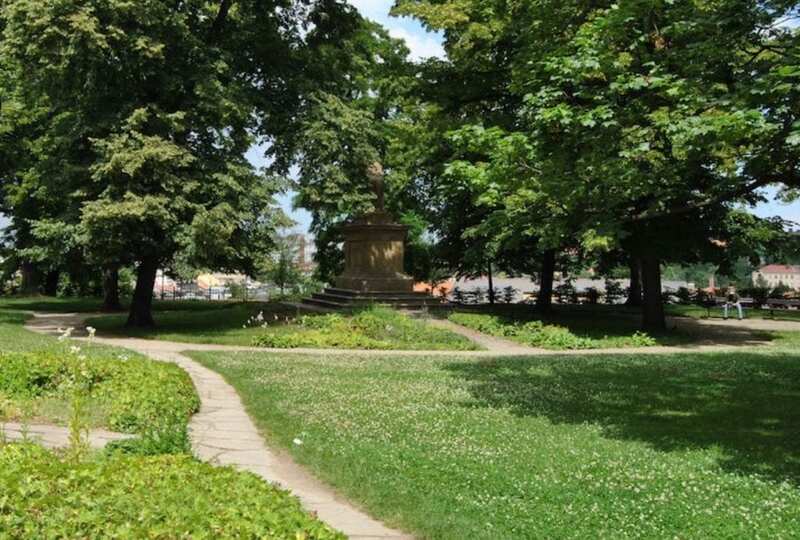 Anything from picnicking in one of the parks to kissing in front of the Karel Macha statue on Petrin Hill. I am assuming you have done your homework researching, so I’m not gonna tell you about the Lover’s Bridge or vintage car rides. There are hundreds of blogs talking about the same cliche activities it’s mind-blowingly boring. If you want your honeymoon in Prague to be something you can talk about for years to come – you came to the right place. 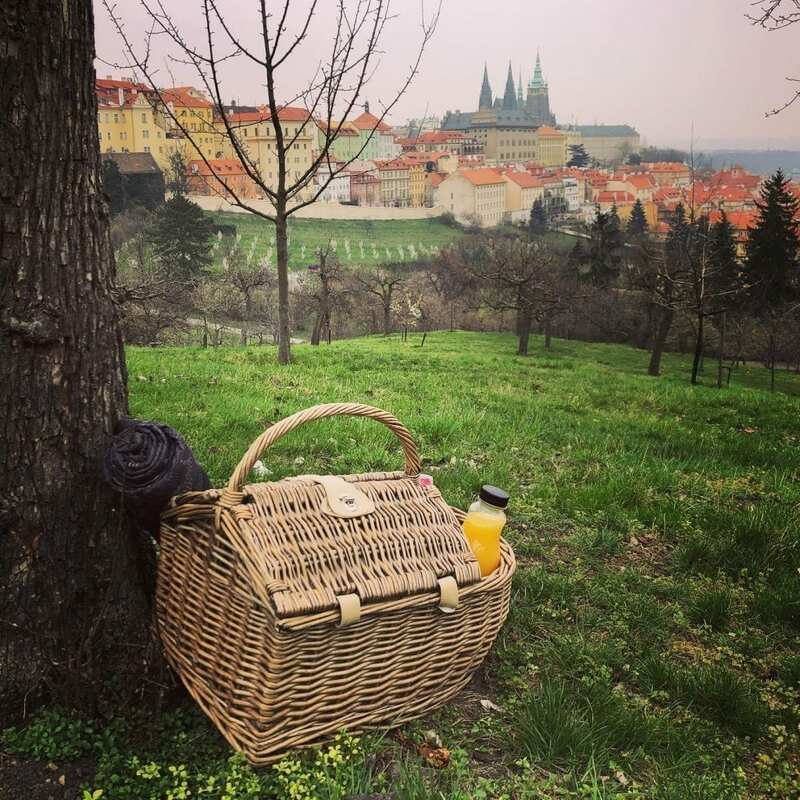 My list of Prague honeymoon ideas is a little different from what all those bloggers offer you. And I am going to be updating it from time when I find something great for you to do during your honeymoon in Prague. And I will try to keep it as cliche-free as possible. 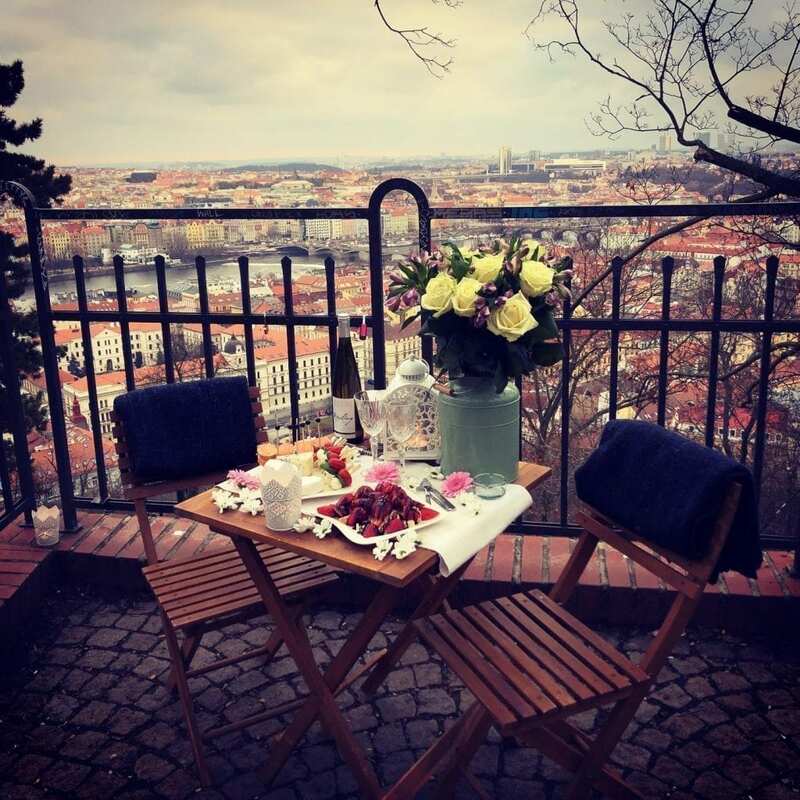 Hundreds of glowing reviews on my TripAdvisor page are living proof, that when it comes to surprising your beloved in Prague – nobody does it better. 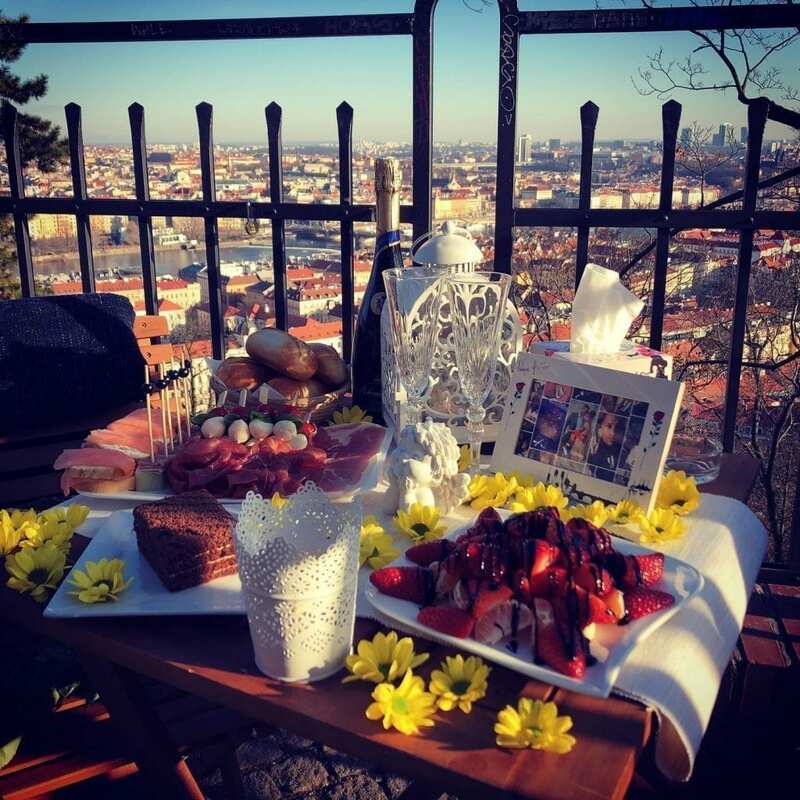 So if you’re looking for something extraordinary and ‘off the beaten path’ for your Prague honeymoon – my romantic surprise is the way to go! Just imagine a quiet, deserted park. Casually walking your beloved through it, you stumble upon a romantic setting. Your table is set up in the middle of a ‘balcony’ with an astounding view of the city. There’s wine, some light snacks, chocolate fondue with fresh strawberries, or even an amazing sushi dinner. It is so unexpected, that your partner is blown away. 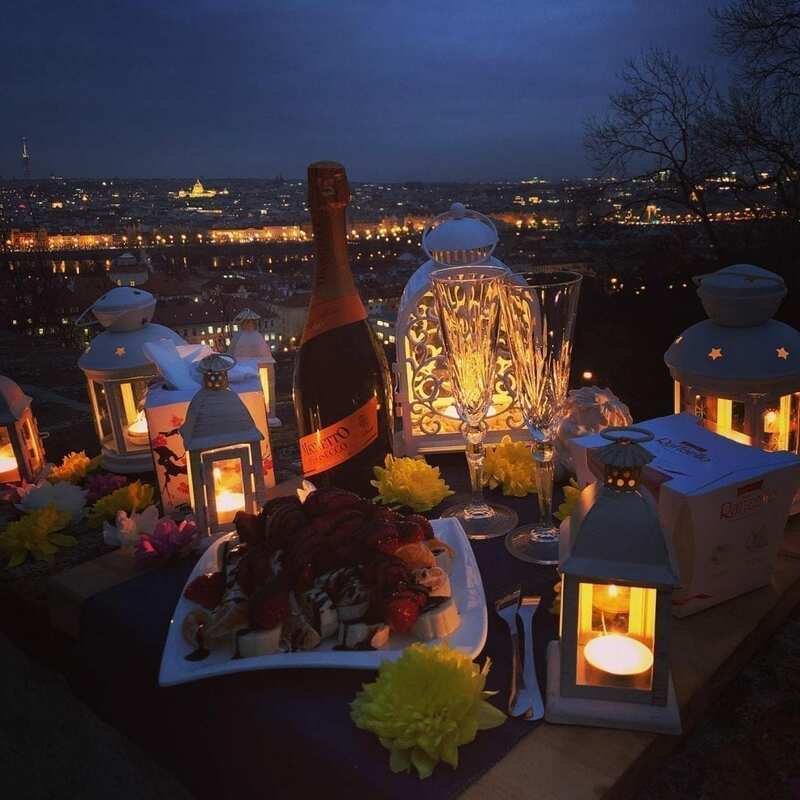 You spend the evening surrounded by candles, with the city as the background to your romantic getaway. I guarantee you, this will be the highlight of your honeymoon in Prague. All you need to do to make it happen is contact me instantly by pressing the WhatsApp icon below, or send me an email through the contact form. I’ll get back to you with all the details, and it’s only a matter of a couple of hours until your beloved goes “Oh my god!” and yo make it the best Prague honeymoon anyone has ever had. Prague is an amazingly beautiful city. And especially enchanting at night. So don’t miss out on taking long walks through the historical parts of town after sunset. In fact, this should be on top of your Prague honeymoon ideas list. And the later it is – the better! Visit the Castle district during the day, then come back when it gets dark. You will be blown away by how magical it looks without hundreds of tourists around. 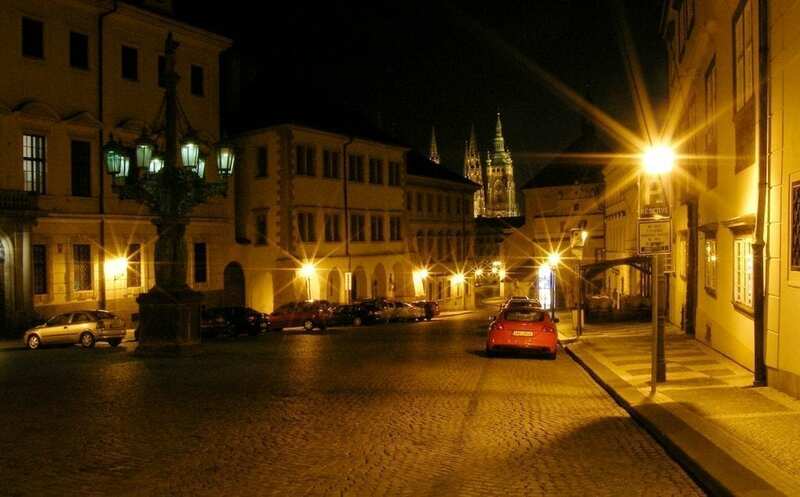 Every time I walk through Hradčany towards the Castle at night, I can almost see the lamplighter who used to walk around those cobbled streets and take care of street lights. Charles Bridge is, probably, already on your list. And I guess you’ll walk through it a lot of times during any day of your visit. But your honeymoon in Prague should definitely include an after midnight stroll, so you can actually see and enjoy it’s majestic beauty. Another spot you should visit during your honeymoon in Prague is Vyšehrad Castle. I am not sure it’s open during the night, but even during the day the park is just beautiful. 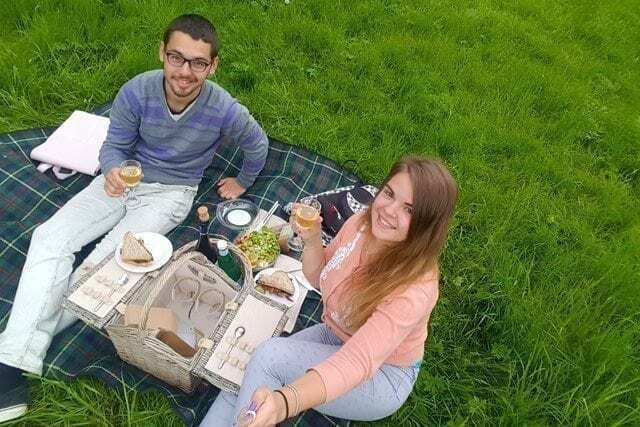 So, get some sandwiches from Bakeshop on Kozi street, and head to Vyšehrad for a romantic honeymoon picnic. 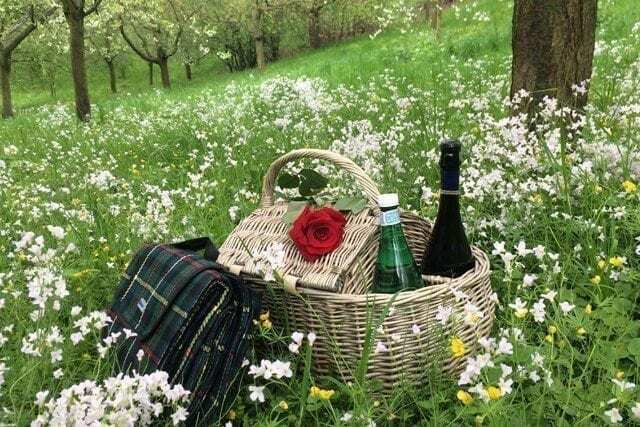 Aiming for romantic picnics, you should definitely go to either Letna park, or the one on Petrin Hill. 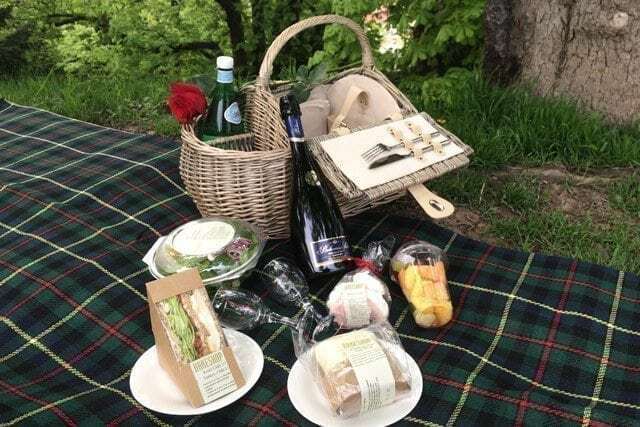 And if you don’t want to go picking up sandwiches and want your Prague honeymoon picnic to be a total surprise – I also offer surprise picnic services. Just tell me what you want to be put in that basket, and I’ll have it waiting for you at an agreed spot in the middle of a park. Your job will be to follow my instructions, and find the basket under a tree. Press one of the messenger icons below (WhatsApp preferred) or send me an email through the contact page.